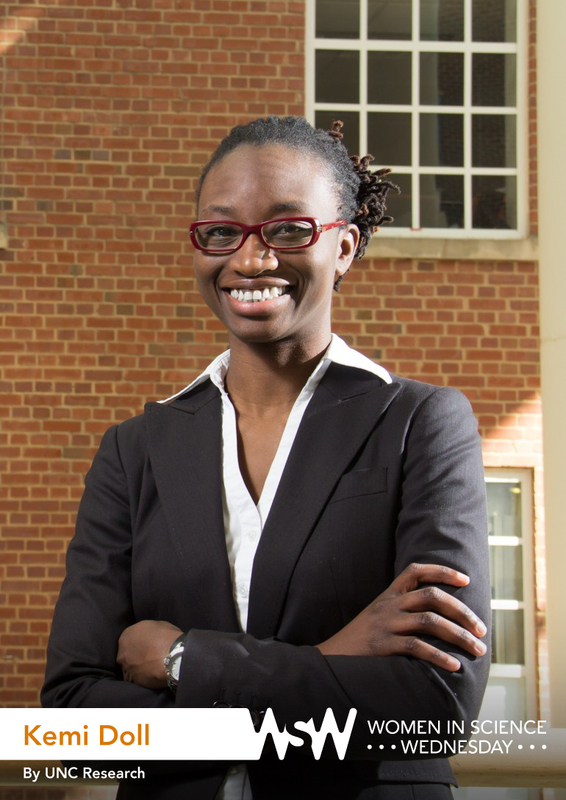 Kemi Doll is a clinical instructor in the UNC OB-GYN Division of Gynecologic Oncology and a Cancer Care Quality Training Program Post-Doctoral Fellow at the UNC Gillings School of Global Public Health. In 2015, she received a Postdoctoral Award for Research Excellence. A doctor. I know, boring answer, but I really did say that as a child. I didn’t actually know what it meant beyond simple images of men in white coats, but I did know that I wanted to help people, and I loved science. Gynecologic oncology is such a unique and fascinating field, which intersects the very ideas of womanhood with the fear and danger of a cancer diagnosis. It combines complex surgeries and the nuance of giving chemotherapy. Because I come from an OBGYN background, I have this unique take on the life course of women, and I think it makes my relationship with cancer patients very special. I wanted to be a researcher because I noticed that the way women receive care (or don’t receive it) for gynecologic cancers varies widely. I am really interested in zooming in — to study how surgery affects quality of life for women on a cancer journey — and zooming out — to study how our health care system succeeds or fails women with this diagnosis. Tell us about an insightful thing that has happened during your research. For one of my studies, patients received gift cards for participating in interviews. Nothing extravagant, $10 to $15 at Walmart. One day, I received a call from one of the patients — distraught. She had tried to use her gift card and it wasn’t activated. She was upset because she had planned a special steak dinner for her husband and had saved the card to be able to afford the more expensive meat. I will never forget the embarrassment she felt. I felt bad because our team had made an error, but it was also a very important reminder about how the smallest things can be very meaningful to patients. That experience renewed both my commitment to respect and honor all the women that contribute to my research and my passion for using this work to make their lives better. Believe in yourself and your ideas. They will likely need polishing, adjusting, and refinement from helpful mentors, but never give up on the passion and beliefs that made you curious in the first place.